An evaluation asks whether an intervention is achieving what it set out to do, and whether it is making a difference. If this is happening the evaluation seeks to understand how and why the intervention has worked so well. If it is unsuccessful, questions are raised as to what could have been done better or differently. Evaluations thus keep track of key outcomes and impacts related to the different project components, assessing whether the objectives, aims and goals are being achieved. Planning for evaluation should be a part of every planning process, for this to occur it is useful to produce a Theory of Change (ToC) or Program logic model. A Program Logic is a schematic representation that zooms in on the specific pathway that your program deals with and creates a neat, orderly structure for it linking activities with outputs, intermediate impacts and longer-term outcomes. Program logic aims to show the intended causal links for a program. CVPCP has hosted Planning for Evaluation capacity building sessions in the past run by award winning evaluator Wei Leng Kwok. Please contact our office to express interest in future sessions. 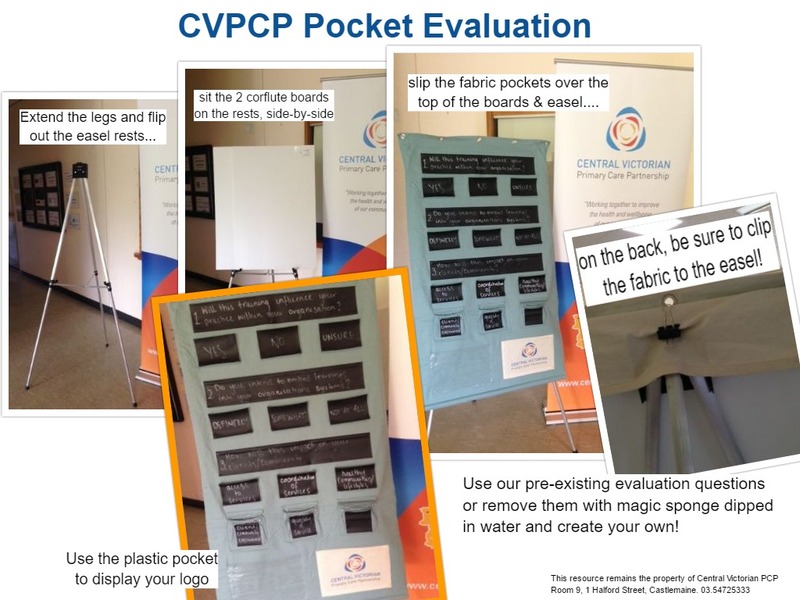 Inspired by the Go Goldfields pocket evaluation, the CVPCP team have made one that can be used by all CVPCP members (see picture). It is best suited for community forums as it is interactive, quick and simple. 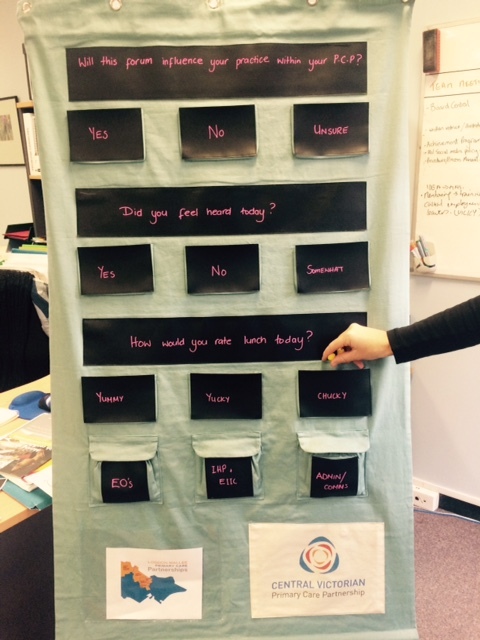 Please contact our office to book this resource.